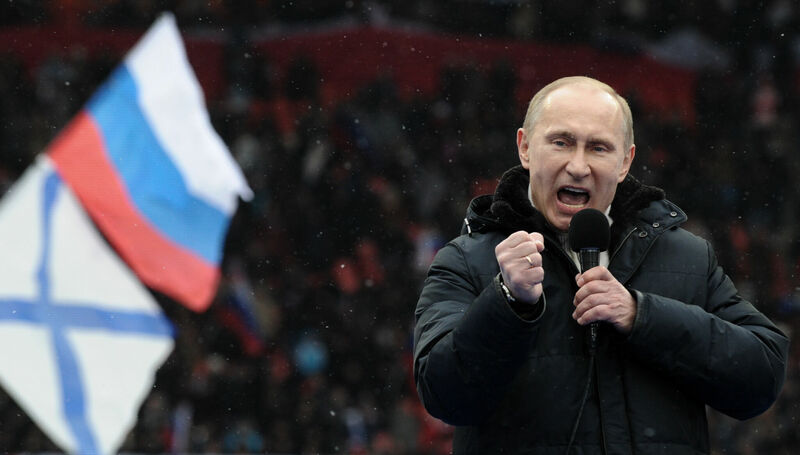 Prime Minister Vladimir Putin delivers a speech during a rally of his supporters at the Luzhniki stadium in Moscow on Feb. 23, 2012. A Bible prophecy recorded over 2,500 years ago specifically mentions a ‘prince’ of Russia. This ruler is now on the scene. He is a judo master, a kgb wunderkind, and likely the wealthiest man in the world. He is the savior of modern Russia—the man responsible for returning the vast nation to great-power status. He is the trailblazer for the modern global return to authoritarianism, the most cunning strongman on the scene, and the world leader better equipped than any other to stand up to the United States. These kinds of facts and statements commonly come up in discussions about Russian President Vladimir Putin. But there is something far more momentous about Putin that few Kremlin watchers recognize: Vladimir Putin is prophesied in the Bible to play a major role in end-time events that lead to the return of Jesus Christ. And he is already fulfilling the early phases of his prophesied role. This lies at the heart of why the Trumpet carefully watches Vladimir Putin. He presently plays a key role in prophesied end-time trends, and that role will become more critical in the months and years ahead. The Bible shows that the worst conflict ever in mankind’s history is rapidly approaching, and that Putin will be at the helm of one of the main power blocs in that conflict. This is why we monitor and report on Putin’s rise and his increasing control over not just Russia, but also the nations of Asia and elsewhere in the Russian periphery. Around the year a.d. 90, the Apostle John recorded a stunning prophecy about a military force that would emerge in the end time: “And the number of the army of the horsemen were two hundred thousand thousand: and I heard the number of them” (Revelation 9:16). That is describing a military force of a jaw-dropping 200 million men. The jaw drops even further when we contemplate how many people were alive when that prophecy was written. Population estimates by historian John Tanton show that only a little more than a total of 150 million people were on Earth at that time. That is compelling evidence that this prophecy comes from the mind of an Almighty God who is able to foretell the future (e.g. Isaiah 55:11)—and that this prophecy is for the modern age. After all, it has only been in quite recent times that populations have grown large enough to make a military force of this size even possible. Even in this age of population explosion, where could an army this massive come from? Historical data shows that nations can field about one fighting man for every 15 adults in the population. In extremes, 1 in 10 adults could be made soldiers. By this formula, the European Union’s vast population could field a force of around 40 million; the combined countries of Latin America could produce an army of 48 million; those of Africa, 70 million. These impressive figures are still far from the 200 million-man force that Revelation 9:16 prophesies will rise up in the end time. People’s Liberation Army soldiers rehearse for a grand military parade to mark the 90th anniversary of the founding of the Chinese People’s Liberation Army at Zhurihe training base on July 13, 2017. It is only from a combination of Asian nations that a force of this staggering size could be assembled. Depending on which Eastern countries you include, it is not difficult to reach combined populations of 2.5 billion to 4 billion people. Even going with the low end of this estimate, building a military of 200 million men is demographically realistic! It is only from a combination of Asian nations that a force of this staggering size could be assembled. The Bible provides many vital details about this largest army ever assembled on Earth. Scriptures such as Daniel 11:44, 12:1 and Matthew 24:21-22 make clear that this gargantuan Eastern force will be one of the main players in a nuclear World War iii. Revelation 16:12 reveals that this mega-army is assembled by the “kings of the east,” which shows it to be a confederacy of several Asian or Eastern nations. Another detailed passage in the book of Ezekiel tells which specific countries will contribute soldiers to this mega-army, and also shows that it will have one lead country—and one individual man—at its helm. Ezekiel 38:8 discusses “the latter years.” This phrase describes the time we are living in now (which you can prove by studying our article, “Are These the ‘Last Days’?”). This chapter of Ezekiel is about the times we now live in and the months and years just ahead. And it includes some mind-boggling information about who will lead the 200 million-man army of the “kings of the east” during these tumultuous times. Who is the “prince” mentioned here? The details of the passage paint a clear picture. Bible scholars generally agree that “Gog” refers to Russia and “the land of Magog” includes the vast area where modern-day China is located. Meshech is a group of people whose name appears throughout history in several variations: Musku, Muski, Mushki. These are all related to the modern Russian spelling of Moscow: Москва. Tubal refers to another section of Russia. To the east of Russia’s Ural Mountains lies the city of Tobolsk, which is named after the Tobol River, an appellation derived from the ancient name Tubal. Tobolsk was formerly the headquarters of the Russian government over the Siberian expanse and functioned essentially as the capital of Russia’s Asian region. Yet another name for all of Russia lies somewhat hidden in this passage. There is disagreement over how the Hebrew word rosh should be translated into English in this verse. The King James Version above renders it as the adjective “chief.” But the correct translation—used by the Moffatt, American Standard Version, Young’s Literal Translation and others—renders it not as an adjective, but a proper noun: Rosh. Rosh was an ancient name for Russia, once called Rus. Many histories and commentaries—including Gill’s Exposition of the Entire Bible—acknowledge this. So the identity of this “prince” of Russia, Moscow and Tobolsk begins to take clear shape: The list of all three names confirms that this is one individual ruling over all the various peoples across Russia—from Kaliningrad in the west to Vladivostok in the east. Already, Vladimir Putin is building alliances with Asian nations. From left, Putin meets with Japanese President Shinzo Abe, Indian Prime Minister Narendra Modi and Chinese President Xi Jinping. Still more details about this Asian army are revealed in passages such as Jeremiah 50 and Joel 2. When these Bible passages are examined alongside current events showing the expansionistic direction modern Russia is taking under Putin’s leadership, the identity of this “prince of Russia” becomes even more clear. Time proved that forecast to have been remarkably accurate. In March 2014, Putin’s forces stealthily invaded Ukraine’s Crimean Peninsula and annexed it to Mother Russia. Putin had literally redrawn the borders of Europe. “The fact that one man—one man—is responsible for this huge geopolitical shift is deeply significant,” Mr. Flurry wrote. Since then, Putin has continued to wield his power to prevent Georgia, Ukraine and other former Soviet countries from developing closer ties with Europe. He is also turning Russia’s military into a modern and formidable 21st-century force and greatly deepening Russia’s influence with China, India, Japan and numerous other Asian nations. I strongly believe Vladimir Putin is going to lead the 200 million-man army. Just look at the power he already has. Can you think of any other Russian politician who could become so powerful and have the will to lead Russia into the crisis of crises? I see nobody else on the horizon who could do that. And only a tiny few years remain for the prince of Rosh to appear! Such a man doesn’t appear overnight. It takes years for even a strong-willed leader to gain such control. Vladimir Putin already has the power—and the will to use it. I believe there is not enough time for a competitor to arise and challenge him. Over 80 percent of his people support his leadership. This much is absolutely certain: The restoring of Russia’s power by Vladimir Putin—the prince of Russia—was prophesied! He has already solidly allied Russia with China. The prophecy about the prince of Russia includes that main alliance. Such a man doesn’t appear overnight. It takes years for even a strong-willed leader to gain such control. In the near term, the rise of Putin’s Russia is a harbinger of terrible global tumult. But this development is intimately tied to the best imaginable news: Jesus Christ is going to return to Earth and usher in an age of peace and prosperity for the peoples of Russia, Asia and all the world! YES, BIBLE PROPHECY GETS SPECIFIC. The idea that a particular man is prophesied in the Bible may seem implausible. Don’t dismiss it without studying it. This is just one of many specific biblical prophecies coming to pass that show the urgency of our time. And we are about to see many more fulfilled as the world enters more deeply into the worst crisis ever in man’s history. This prophecy is woeful and super-inspiring at the same time. 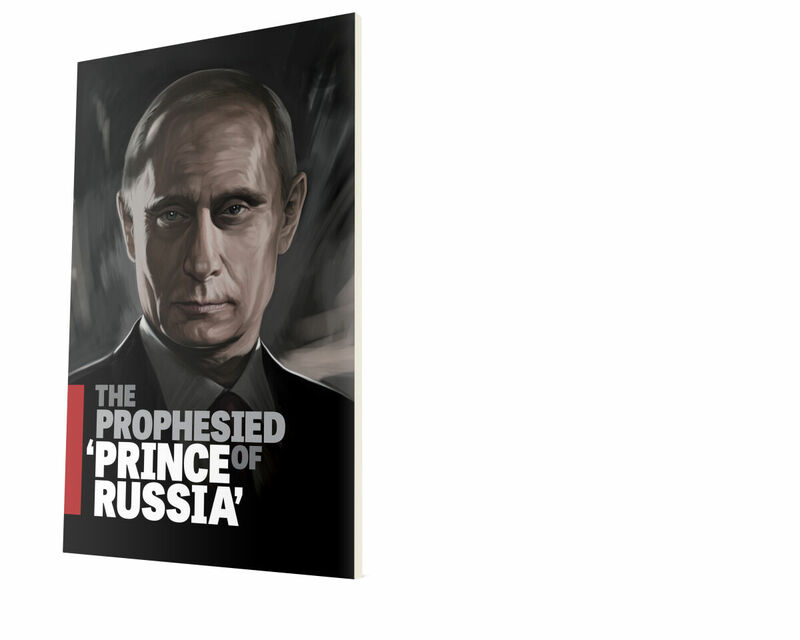 Read online or order a free copy of Gerald Flurry’s booklet The Prophesied ‘Prince of Russia’ to better understand and to prove for yourself this vital truth.